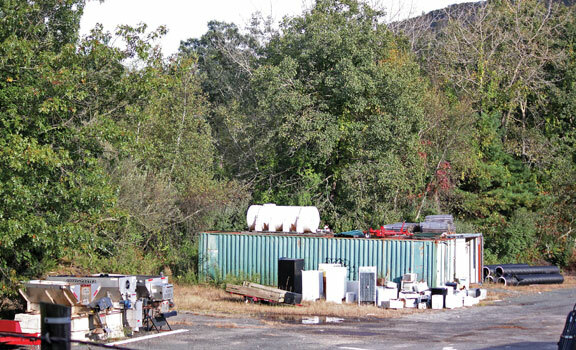 BEACON FALLS — A town meeting to vote on a deal for land on Lopus Road may be held by the end this month. The town has reached a deal with O&G Industries to buy a roughly 5.5-acre parcel of land adjacent to the public works garage on Lopus Road. Under the agreement, the town would buy the land for $1. O&G has the right to buy the land back for a $1 after 15 years, unless the town and the company reach a mutual agreement to extend the deal for five years. If O&G takes no action after 15 years, or 20 years if the deal is extended, the town takes ownership of the land, under the agreement. The Board of Selectmen last week tentatively set a date for a public hearing and a town meeting to vote on the deal for Jan. 30. The board is expected to meet this week to set an official date, time and location for the meeting. The $1 purchase price is under the $20,000 expenditure threshold for purchases the town has to send to a town meeting for a vote, and the board has the authority to approve it without a public vote. 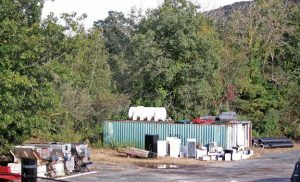 But officials decided to send it to a vote after issues were raised about the cost the town will incur to develop the land into a bulky waste site for brush and debris, and the loss of tax revenue if the town buys it. During the Board of Selectmen’s Jan. 14, Selectman Michael Krenesky said he’s also concerned that O&G can take back the property after 15 years. If the company does, he said, the town would lose any investment it makes in the property. During the meeting, Krenesky pointed to another piece of property that he had brought up in the past — a 9.5-acre site at 384 Lopus Road that abuts the O&G property that’s under consideration. The current asking price for the land is $380,000. According to the property card, the property at 384 Lopus Road has a 3,385-square-foot house and a 750-square-foot barn on it. The owners of the property, which is assessed at $315,050, are listed as Terrance Murtha and June Rydzik, who is Krenesky’s sister. First Selectman Christopher Bielik said he would look into purchasing the O&G property outright rather than under a lease. He said the town meeting may be pushed off until early February if he wasn’t able to gather all the information in a timely fashion. How can you move forward with such a major purchase and not have you plan firmly in place, and produce it when you set the meeting. The Democratic leadership has a history of moving forward with projects without a clear plan. Streetscape comes to mind as does the deteriorating Wolfe ave property. I for one will be voting no! Find a fiscally responsible solution to your Solar panel faux pas!